Olympic Champion. World Champion. World Cup Champion. 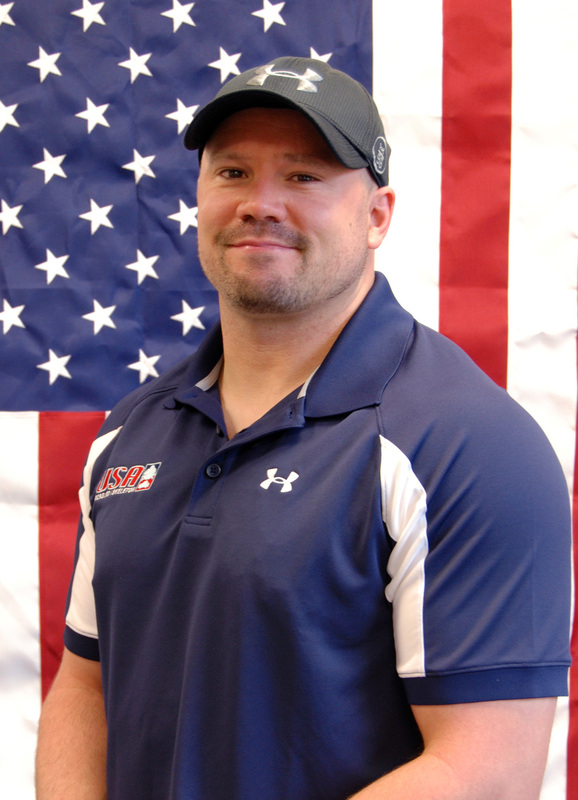 Steven Holcomb is a champion who has defied the odds; who has persevered through adversities - potentially career ending adversities - to come out the other side, not only victorious, but awe-inspiringly victorious; to have changed the very landscape of his sport: bobsledding. Steven started his journey in the sport in 1998, an early highlight was in front of a patriotic, spirited crowd as a forerunner; a test driver going down the 2002 Winter Olympics track prior to the start of competition in his hometown of Park City. What followed was a rather meteoric rise within the actual ranks of US Bobsledding, moving from the third ranked US driver in 2003 to becoming the driver of USA 1 after the 2006 Olympics. In the 2006-07 season Steven and his team won 10 World Cup Medals, powering the team to their first two Overall (season) World Cup Championships (2-Man and 2-Man/4-Man Combined). While seemingly at the top of his sport, Steven was faced with an incredible challenge: a degenerative eye disease (Keratoconus) that threatened his very ability to see the track he was speeding down with his team. He had one eye procedure that returned him to his team and to his sport (& 7 more World Cup medals), but soon thereafter his eyes began to degenerate again. Steven’s coach (Olympic Bronze Medalist) Brian Shimer was so dedicated to him that he found an experimental procedure for him (in Beverly Hills, CA) to pursue as he was not ready to lose his star pupil who had given up & said to Brian he was going to retire. The US Olympic Committee (USOC) & US Bobsled & Skeleton Federation (USBSF) jointly paid $16,000 for this non-FDA approved non invasive procedure since insurance would not cover it. The first stopped the deterioration & a 2nd procedure (renamed Holcomb C3-R) 6 months later corrected his vision from 20/500 to 20/16 that took about 20 minutes. As now was the case with his vision, Steven and the “Night Train” team’s success thereafter could arguably be described as “perfect” since. Steven delivered to the US, their first World Championship in 50 years (1959) for 4-Man in Lake Placid, NY (Spring of 2009), the 2009-10 World Cup season they won the Overall World Cup Championship (4-Man and 2-Man/4-Man Combined); the US had not won the 4-Man title since 1993. At the Vancouver Olympics, they added the capstone to any athletic career: they beat a curve that Steven had nicknamed “50/50” on the World’s Fastest Track and beat the rest of the field to capture America’s first Gold Medal in the sport in the 4-Man competition since 1948 (push crew - Olsen, Mesler, Tomasevicz) by a staggering 0.38 seconds over defending Olympic Champion Andre Lange of Germany. An example of the 2014 Olympic Trading Card set, this maybe what the cards look like with a swatch of clothes from Steven. Since the Olympics, Steven has travelled throughout the US on the talk show circuit as well as giving speeches, charitable events, endorsement appearances & to show his Gold Medal that he calls “America’s Medal” because of the support that he received from the USOC & USBSF from their assistance with paying for his eye procedure. The USOC & USBSF are 501 3(c) organizations and with support from citizens & corporations it allows all Olympic athletes to have partial financial support to compete for America. Their is no government support of the Olympic Movement as opposed to all other nations around the world. Steven’s career since Vancouver has continued to add more medals and victories for the United States. On the World Cup circuit, he has added eleven medals (5 Gold, 4 Silver & 2 Bronze) and at the World Championships, 4 World Titles and 2 Bronze medals. In the run up to the 2014 Winter Olympics, Steven will be using two different technologies in his quest for Olympic Gold in both 2-man and to defend his 4-man title. USBSF partner BMW USA has developed a brand new fleet of 2-man sleds. BMW USA's investment in the creation of a new fleet in addition to monies provided by the USOC conservatively is in the 2 - 2.5 million (USD) dollar range. BMW USA began their US bobsled program in 2012, (though BMW Germany has worked in the sport in the past) from scratch. This will be the first full season that BMW 2-man bobsleds will be used by the United States. BMW USA and BMW Germany are fiercely competitive and no research has been shared between the counterparts in this program. At the same time, the Bo-Dyn Bobsled Project who created the "Night Train" in which Steven won in Vancouver has designed, privately funded and built a predecessor sled called the "Night Train (2) Squared" . Steven will be the only US pilot to be driving a brand new 4-man sled in 2013-14. Additionally, because the Bo-Dyn Bobsled Project is not associated with USBSF any longer, they are incurring all costs to move, service and repair the sled during the 2013-14 season. This partnership that they have to provide Steven with the best 4-man equipment out there by far is Steven's most valuable relationship. All in, conservatively, between research and development along with all of the costs associated for having your own race team is well over a million (USD) dollars. Both the BMW 2-man sled and the Bo-Dyn bobsleds share one dynamic that is a must for the 2014 Games and that is a carbon fiber body. Technology that Steven used at the 2012 World Championships when he swept the 2-man, 4-man and Team titles were not in sleds that were carbon fiber based. They were more kevlar amongst other things. All of the world's best teams will be in these types of sleds in Sochi. To start the 2013-14 season in Calgary, Steven won his fifth consecutive 2-man race in North America but this time using the BMW sled. Steven and brakeman Steven Langton broke a track record that stood since 2005 (set by Olympic Champion, Germany's Andre Lange). He followed this up completing a Calgary sweep which was the first time in 7 years that the opening weekend was won by the same driver. Steven along with Langton, Curt Tomasevicz and Christopher Fogt using the Night Train 2 set the tone to say that they want to defend their Olympic title. The trend continues for Steven winning his 6th consecutive 2-man race in North America with brakeman Christopher Fogt. The United States had a great event at Utah Olympic Park with the Americans finishing 1-2-4 with Germany capturing the Bronze medal in less then ideal weather conditions with the temperature at race time hovering at around 5f. In 4-man, after the first heat Steven was in a tie with Russia and Germany but because he posted the time first, he was allowed to go last in the final heat. After Russia and Germany posted times that gave them a lead of 0.02 and 0.03 respectively, the Night Train 2 crew put down a blistering push at the start and Steven laid down a perfect run beating the field by 0.35 to win Gold on Steven's home track of Park City. The races in Lake Placid, NY because of the imbalance of World Cup tour dates this Olympic season in North America allowed for 2 Women's races in Park City and 2 Men's 2-man races in Lake Placid. For Steven, this meant that on Friday the 13th, he would race with Steven Langton and Saturday the 14th he would race with Christopher Fogt. What it meant for the field though was another weekend of Steven to continue his streak of winning his 7th and 8th consecutive 2-man races in North America with dominant performances. On both days after the first heat, Steven and Steven/Christopher had leads of over 0.50. In a sport that is measured by hundredths this is a lot of time. Temperatures in Lake Placid were very similar to that of what we saw in Park City the week before and snow blowing on to the track. What was most impressive was that his margin of victory between 1st and 2nd on both days was larger than the margin separating second place from eighth place. During Saturday's race, the United States swept the podium in 2-man for the first time ever according to Infostrada. Steven is now 7 for 7 to start the 2013-14 FIBT World Cup Season ahead of the Christmas break. The Night Train 2 was not as dominant as what we have seen the past few weeks in Calgary and Park City, but because of the powerful start times of the team, they were able to hold off Great Britain and Germany to keep everything going with a win of 0.07 and 0.20 respectively. Steven is the first driver to win at least seven races in one season since Germany's Andre Lange won eight in 2003-04, according to Infostrada. To say that we are in a second season the Olympic year is the best way of putting how Winterberg, Germany treated the first half overall World Cup leader. After winning in Lake Placid and going 7 for 7 in both 2 and 4-man races in Calgary, Park City and Lake Placid, Steven was introduced to German kryptonite crashing in practice on December 31 in his 4-man sled. The track in Winterberg has always been a track where Steven had problems in his career. He drives by feel and not visual cues, this track has mild turns and does not have face g-Forces like most. Steven and Steve Langton finished is a disappointing 7th place. This though was not the worst of what would be to come in Winterberg which was a double World Cup weekend in 4-man. In the first of two days in racing, Steven was sitting in second place after the first heat. The challenge for him at this track is trying to master Turn 9. This is where he wrecked in practice and this is where he flipped the Night Train 2 in the World Cup. The sled did right itself, but the damage was done and he finished in 20th place. The wreck additionally netted Steven the least amount of points he could earn which would change the balance of power for the overall World Cup rankings in the weeks to follow. In day two of Winterberg saw Steven have the 6th and 7th best times and thankfully no wrecks. USA 1 would leave for Switzerland with a 7th place finish and their overall lead in the World Cup ranking for 4-man gone but also safely down the track. The track here claimed 2 US sleds wrecking in the same location in the Night Train and Night Train 2. Every driver always has one track that they just love the most. For most drivers, this track is St Moritz which has the unique quality of being the only course in the world that is hand built every year. At the same time, Steven has finished 4th at this location more then any other course in the world. Steven raced this weekend with Christopher Fogt and while they were the top US sled, they did not finish on the podium, posting a 5th place result. After the bumpy ride in Germany, Steven was hopeful that a move of location would bring back some of the North American results like earlier in the season and at least match his Bronze medal here at the 2013 World Championship in February. After making a few mistakes, Steven and the Night Train 2 team finished in 7th place. Steven left St Moritz in 1st in 2-man and 4th in 4-man Overall World Cup ranking, while remaining 1st in the combined World Cup ranking. After a tough road in the first two European destinations in the second half of the 2013-14 FIBT World Cup Season, Steven and teammate Steven Langton drew the first position to start this race and posted a Track Record in heat 1 that was never challenged by the field. After the first heat, they held a 0.22 lead on their competition from Switzerland and 0.24 lead on Russia. Going last in the second heat, the BMW 2-man sled powered by UnderArmour was up to the task and captured Steven's 5th Gold medal of the 2-man season. Steven was able to extend his Overall World Cup ranking lead to 77 points over Switzerland's Beat Hefti. After the first run in Igls, Steven and Night Train 2 crew were in a virtual tie having a 0.01 lead over Latvia 1, but a much larger lead against the rest of the field. Latvia 1 was able to set a track record in their final run that proved to be too much for Steven to overcome who ultimately settled for a Silver medal 0.11 back. This was the 4-man team's first medal in Europe after the bumpy road that happened right after the Christmas/New Year's break. With the finish in Igls, Steven now sits in 3rd place in the World Cup overall standings for 4-man just 3 points behind Russia's Alexander Zubkov and behind Germany's Maximillian Arndt. Heading into the final World Cup, Steven has a 142 point lead on Zubkov of Russia and 382 point lead on Spring of Canada and Florschuetz of Germany in the combined World Cup standings. Announced during the race in Igls was that Russia would not be competing and would head back to Sochi for extra practice runs on the Olympic track. For the season Steven ended up with 10 medals (9 Gold and a Silver) in 2 and 4-man. His overall ranking included 1st in 2-man and combined and 2nd in 4-man for the World Cup season. Steven's FIBT-IBSF career in 2-man and 4-man he has won 60 World Cup medals. Most in American World Cup history. Night Train Squared designed and built by the Bo-Dyn Bobsled Project. In December 2012, Steven’s autobiography “But Now I See” penned with Steve Eubanks was released by Ben Bella Books. Steven is taking classes via DeVry University in Computer Science via a USOC sponsorship initiative to give Olympic athletes an education while they compete for our nation (2015). Steven also is a supporter of www.TeamRWB.com which supports wounded veterans when they return from active duty via social interaction & shared experiences across the US. Steven is an Athlete Ambassador with Advocare and UnderArmour. He has relationships with additional USOC sponsors including BMW USA and DeVry University. Additionally, he will be included in the Topps Olympic 2014 trading cards and Upper Deck 2014 card sets.